Derek Harper. Brad Davis. Jason Kidd. Steve Nash. The Maverick’s first round selection Thursday night is in good company and is buying into the hype. 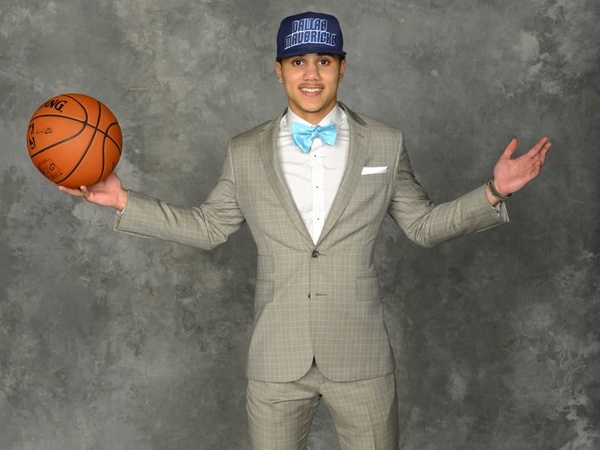 However, the organization doesn’t anticipate Shane Larkin to become the next star at the point in Dallas; some might compare him to a JJ Barea, or a Rodrigue Beaubois. The Mavericks accomplished on what they were looking for and grabbed the perfect guy to fit the Maverick’s mold. Larkin will make an immediate impact off the bench in the 2012-2013 season and will add some needed athleticism off the bench. Shane and Barry Larkin discuss their excitement over Shane being drafted, Shane’s upbringing and much more.